As I get older, I have decided that I need to take better care of my skin. Honestly, I didn’t have a beauty regime for many years. I would wash my face with soap and water. I would sometimes use witch hazel as an astringent. It wasn’t doing me any favors. I used to have horrible skin in jr. high, I had really bad acne, once that cleared up, I didn’t really do much to my face. My family ages really well so I haven’t had any wrinkles yet, but I would rather beat them before I get them. I guess it’s the forever girl scout in me. I want to be prepared. There are so many different products out there. It can be hard to know what to use. I don’t really want to use something that I buy where I get my groceries, or a discount store. I am not saying they are not good products, I would just rather try something that I have confidence in. 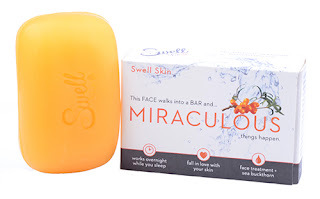 I had the chance to try out a couple products from Swell Skin. I was attracted to this company because I was curious as to what Sea Buckthorn Oil was. I read that it is a very special 1000 year old skin regenerating plant that treats acne, rosacea, eczema, rashes, age spots, burns, and can reduce fine lines. It will also replace all other moisturizers. I also love that Swell Skin has a 100% money back guarantee. I was able to try out the Swell Skin Oil of Sea buckthorn. I really like how easily it goes on. I love that it has a dropper so you don’t have to worry about using too much or spilling it. I recently found a weird spot on my earlobe. I am not sure if it is a scratch, or a pimple or what it is. It’s been really annoying me though. It’s not open though, it’s like a bump. I can’t stop messing with it. I decided to place a couple drops of the Oil of sea buckthorn on it, and it has stopped bothering me. Some products have a harsh smell. I love how light and refreshing it is. I also love that it is all natural and doesn’t contain anything that can damage your skin. It really has made me love my skin again. I have a few darker spots that I have been using it on. 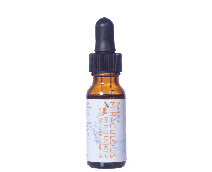 For over 1000 years sea buckthorn oil has been gently yet effectively healing skin of all sorts of maladies. We often hear “what doesn’t this oil do?” The oil comes from the sea buckthorn berry, a plant that has the reputation as being the most perfectly balanced plant in nature. With 190 bioactive ingredients,all 4 omega acids, crazy amounts of vitamins A, C, and E. The berry is rich with healing properties beyond what we have come to expect in moisturizers. I also received the Swell Skin Facial Bar to try out. As someone who has monthly break outs, it has really worked wonders on my face when I had my period. I didn’t have the normal few pimples on my face. It made my face feel refreshed and I felt like my skin was airbrushed and blemish free. It’s really gentle to use too. I also enjoy the scent of the soap. I can see myself using this daily and not have to worry about what’s inside. It’s like wearing foundation, without the foundation. When you use the Facial Bar you don’t have to take the time to use foundation because it fixes your flaws so your makeup doesn’t have to. Natural is beautiful. The founder Kelli Klus really works hard to provide a great product and she really does care about your skin. She created her skin care line because she was having trouble with her skin. She is really nice too. She has a degree in herbal medicine and she is really excited to share her products with my readers. If you use these two products together, they should be the only beauty products you need! For more information and to order please visit Swell Skin.